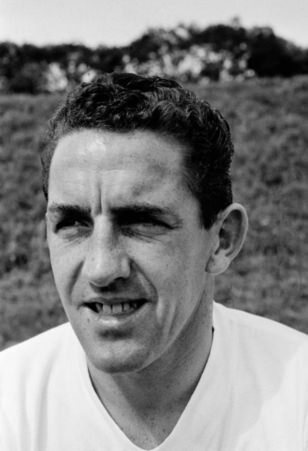 A fantastic player and an even better man, Dave Mackay holds legendary status at both Hearts and Spurs as the heartbeat of both teams' most successful eras. One of the most professional and hard working players Britain has ever produced, Mackay was a formidable midfielder that combined bravery and tenacity with brains and skill. Although he is unfairly remembered as a hard man on the pitch, he was never sent off in his entire career and could play the ball as well. Mackay had excellent awareness and always supported his teammates, after every ball recuperation he would immediately play the ball forward with alarming consistency. He was also known for his tackling ability, tough but fair. His partnership with Danny Blanchflower at the centre of the Spurs midfield was the cornerstone of the team and as strong and balanced as any midfield in the world at the time. With Bill Nicholson at the helm, Spurs won a league title, three FA Cups and the UEFA Cup Winners Cup during the period Mackay played for them, although he unfortunately missed the final of the Cup Winners Cup through injury. One of the greatest testaments to Mackay's determination was the fact that he broke the same leg twice in one year and still fought back. Despite the injuries, he continued playing regularly well into his late 30s, even managing to play all 42 league games at age 37. He was described by the great Brian Clough as Tottenham's "greatest ever player", and by George Best as the "hardest player he ever faced - and certainly the bravest". A true legend of British football. Last edited by StuartBannigan on Sun Jan 20, 2019 1:23 am, edited 1 time in total. Did you see him playing? Or is a set based in text? Do you think he was as good as Roy Keane? Maybe I could decrease Mackay's BB a bit, comparing the two players. 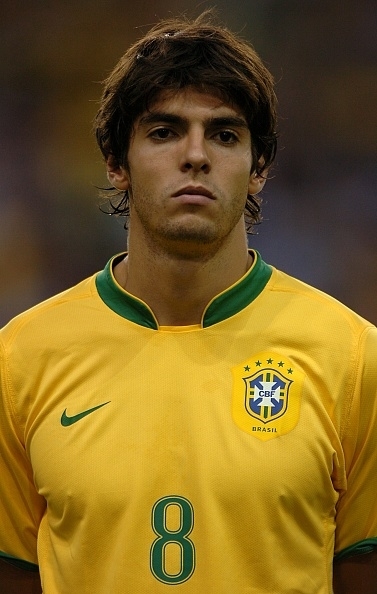 I'd reduce many things here, he may deserve such combo in stats like BB, STA, RES, TW if he played nowadays, but back then having a player like this is, with all respect because i actually like this kind of players in real life, not very realistic. In the other hand, i think he may deserve *Center. BB: I can put it down to 85, even though he was quite small he looked much bigger on the pitch, maybe 87 would make him too dominant though. STA: The furthest down I'd go is 89, one point above Zito and Masopust, he was one of the fittest players in Britain at the time and was ahead of his time in terms of professionalism. I'd prefer him in orange tbh, but maybe combined with his MEN that would make him unstoppable. RES: fair enough, comparing him with other players of the time I can go to 83, I mostly gave him 85 for the timing of his tackles which was excellent, although that number makes him more proactive than he was in real life. Centre: 100% agree, overlooked it somehow. Maybe Gurkenjoe has seen this player and could add something, since he posted the Spurs team in the clubs section.